Before we were Manoli’s Jewelers! 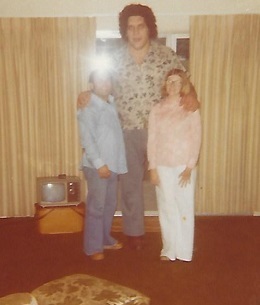 Andre the Giant in pictured with Manoli aka Mike Pappas the pro wrestler and his wife, Valerie. Valerie cooked dinner for Andre and his manager and this picture was taken in 1977 in our home in Kansas City, MO.